Invacare Pronto P31 Review: Is This Device Best To Travel With? When your goal is to get a comfortable power wheelchair, one of the models which you’d naturally consider is Invacare Pronto P31, which boasts of a big and padded captain seat. This model is suitable for both indoor and outdoor use. The turning radius is small (26.5 inches) thanks to the compact base. As a result, turning is a breeze. You can be confident about your safety and the maneuverability of the wheelchair. It would be great if this power wheelchair came with a storage compartment like the more compact Golden Technologies LiteRider Envy compact power chair. When your goal is to get a comfortable power wheelchair, one of the models which you’d naturally consider is Invacare Pronto P31, which boasts of a big and padded captain seat. This is what I did and I’m now ready to review it. 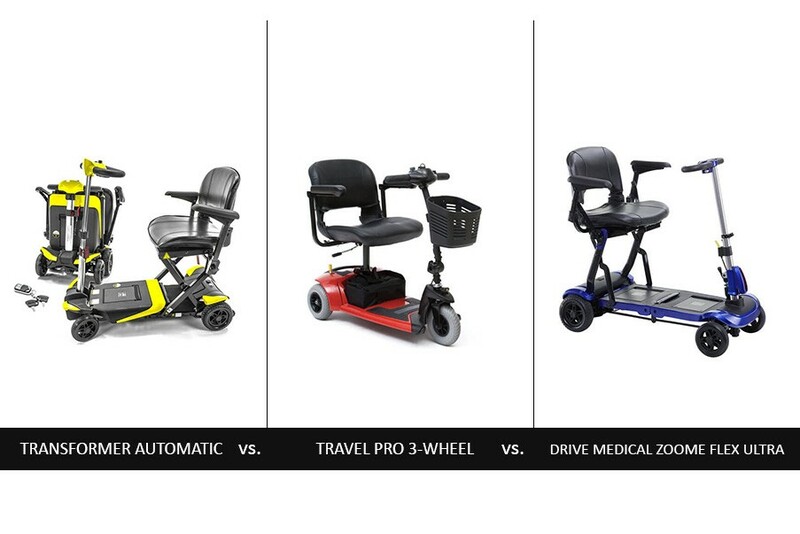 Read my Invacare Pronto P31 review to help you decide whether this model could match your needs and requirements when it comes to comfort and overall performance. Is It Strong and Durable? In my opinion, it is. The base is made of plastic and metal and appears to be resistant to all kinds of damage. The wheels and casters are well-made and seem strong and durable too. What I’d like to add at this point in my Invacare Pronto P31 review is that the capacity of this power wheelchair is 300 pounds which is standard for these devices. It can accommodate a tall and heavy person like me with ease. You should feel comfortable riding in it even if you are bigger than the average. When it comes to weight, the model is over 150 pounds so it’s neither the heaviest nor the lightest of its kind. How Good Is the Captain Seat? I’m not into praising so I’d say that the seat is close to absolute perfection. It is 18 inches wide and 18 inches deep so it’s large enough even for big guys like me. I love how well designed and heavily padded it is. It offers the ideal combination of comfort and support. The ergonomically designed backrest also has thick padding. Its semi-recline function is great and can help you sit in the most comfortable position easily. The headrest, which is a fantastic bonus, comes with adjustable height. The armrests’ height is also adjustable just like that of the seat and the headrest. They have excellent ergonomics and this is something worth highlighting in my Invacare Pronto P31 review. They are easily raised and lowered for easy mounting. I’m normally very picky when it comes to the footrest, but this one meets my high expectations. It is both long and wide enough to provide support and comfort. I love the loop going around the back which prevents your feet from slipping to the base. Is It a Dependable Performer? The motor operates smoothly and without making noise. 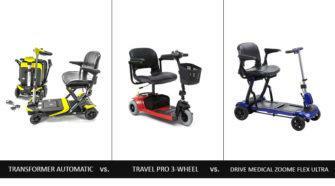 The power gets to the 9-inch drive wheels which are very wide to give the wheelchair perfect stability. The braking system is reliable and so are the controls. You should find it easy to drive the wheelchair with the joystick, which can be mounted on the side that you prefer. 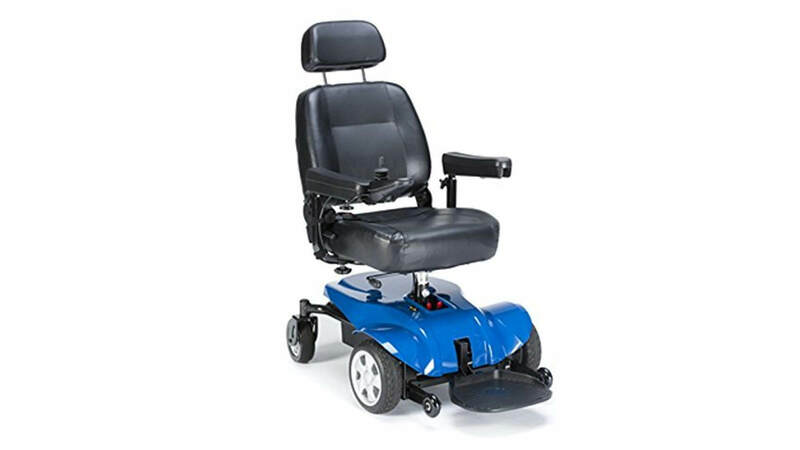 It is worth noting in this Invacare Pronto P31 review that this model is suitable for both indoor and outdoor use. Its maximum speed is 4 miles per hour so you can expect a calm and fairly quick ride every time. The turning radius is small (26.5 inches) thanks to the compact base. As a result, turning is a breeze. You can be confident about your safety and the maneuverability of the wheelchair. 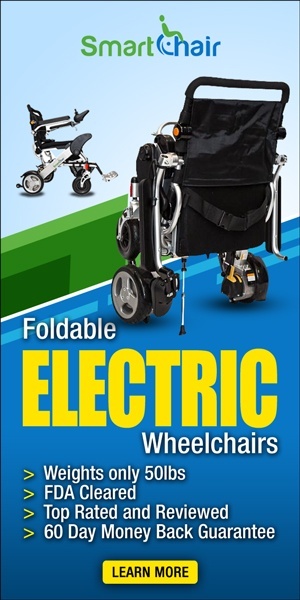 When the battery is fully charged, you can cover a distance of up to 13 miles in this wheelchair. This is comparable to what the leaders in this category have to offer. In general, the battery is reliable and quick to charge. It would be great if this power wheelchair came with a storage compartment like the more compact Golden Technologies LiteRider Envy compact power chair. Still, I realize that you have to sacrifice something for getting this high level of comfort and I’d like to point this out in my Invacare Pronto P31 review. I’d like to conclude this Invacare Pronto P31 review by saying that this wheelchair offers great comfort and performs superbly. It is sturdy and durable too. For more details and reviews, visit Amazon. 1 Is It Strong and Durable? 2 How Good Is the Captain Seat? 3 Is It a Dependable Performer? Previous MobileCare Travel Medical Scooter Review - Can this Model Meet Your Requirements? Next Golden Technologies LiteRider Envy Compact Power Chair Review - Is It a Top Choice?